Even if your blog is successful and your traffic gets higher every day, you just can’t stop thinking about the ways to improve it. No? Then you should think so! There is always something to improve on your website — it’s a fact. I’m convinced that the best way to find opportunities for the improvement is to make a stop, think deeply and analyze your work. The best way to analyze, in turn, is to compare. In this article, I’ll share the way on how to improve your content through the analysis of competitor’s top articles. The analysis of competitors is the very first step before creating your marketing strategy. You can’t create something efficient without even knowing what is going on within your niche, without a background. I mean, of course, you can, but it would be a miracle. In most cases, behind the great result, there is a huge work on analyzing and finding patterns. Backlink profile — here is a great SEJ article on how to take advantage from analyzing your competitors’ backlinks. Technical issues like page loading speed, redirects, errors, etc. Site structure, assortment on the site. With this information, you can find tons of opportunities for the constant improvement. 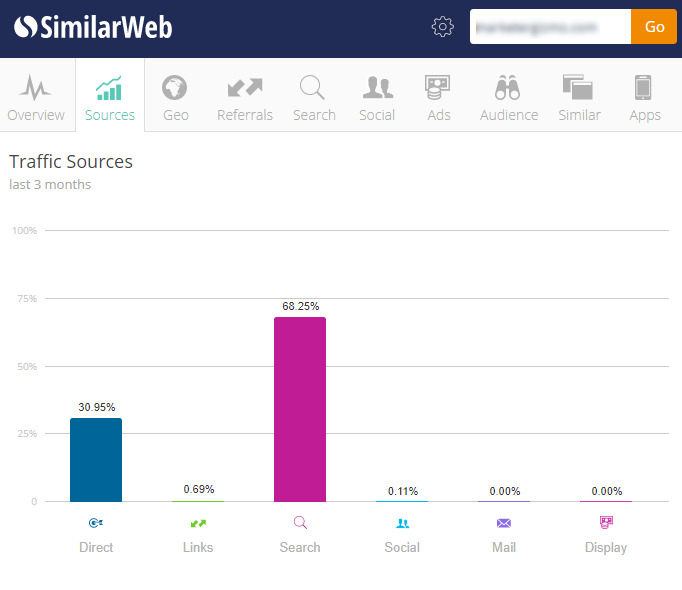 For instance, compare your traffic sources with the competitors’ ones and estimate the situation. If they receive a lot of traffic from search and you can’t say the same, then you know where to make more efforts. Or you can analyze their backlinks and find out what link building strategy they use. Anyway, there are a lot of posts about competitive analysis — I attached few of them to the list above. But it appears that there are not so many articles on competitor’s content analysis. It’s a crucial step as to improving your writing. Let’s see. For example, here is a great Noah Kagan’s research. The guys from the BuzzSumo team analyzed the social share counts of over 100 million articles across the web to find out why content goes viral. They found out that the most “shareable” day is Tuesday, the emotion we should appeal to in the articles is awe, and 10 is the magic number for lists. Another example from BuzzSumo is almost the same research but with the goal to find rules for the perfect headings. It’s interesting examples of what we can get from analyzing content. I suggest trying something similar to it but with your competitors’ top articles. You’re confident about your blog. Why do you need to spy on your rivals? To know their strong and weak spots. Look up to the strong ones, avoid making their mistakes. To find patterns, analyze it and improve your pieces. To find most shareable content and learn the reasons for such success. To be up-to-date within your niche. I hope it’s enough to give a try to this method. Now let’s figure it all out. Of course, you’ve probably learned everything about your direct competitors and leaders within the niche. But there are always some websites you haven’t considered as a serious competitor. 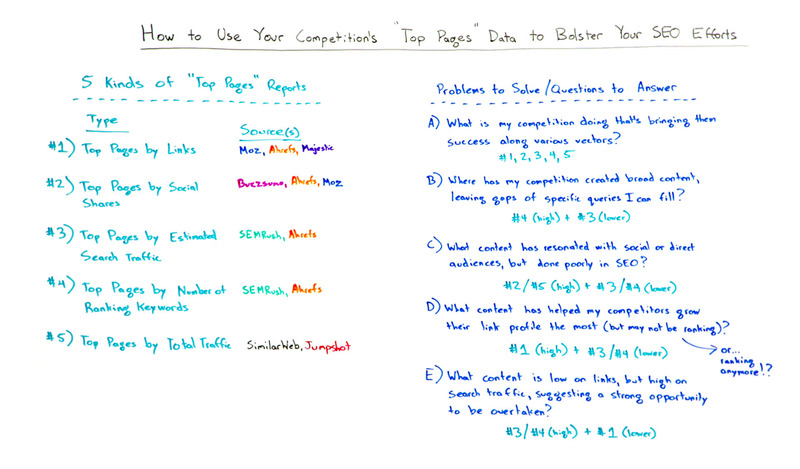 To find the whole list, I’ll use Serpstat’s competitor analysis tool. Type your website into the search box and go to SEO Research > Competitors. I took the random SEO blog as an example. Serpstat returned the list of 27 competitors to this website. Take a look at Common Keywords and All Keywords metrics and estimate the ratio. Websites with the closest numbers are your direct competitors. It means that they rank for the same keywords as you do. If the number of common keywords is big but “all keywords” number is much bigger, it means that this blog writes on the similar topics, but it’s not their main point. They have a lot of additional issues, so this blog can’t be considered as our main competitor. Make a list of the most important ones and check it one by one. Click on the website you want to check and go to SEO Research > Top pages. There you can see the list of the articles which bring them the most traffic. You can analyze it in general, or you can analyze the certain factors such as FB, Linkedin or Google+ shares. I’ll try the second variant. Now we can read these articles to find some patterns and adopt interesting ideas for the blog. Another way to find most popular posts — BuzzSumo, which I’ve mentioned earlier. This tool allows finding most shareable content by keyword or domain. 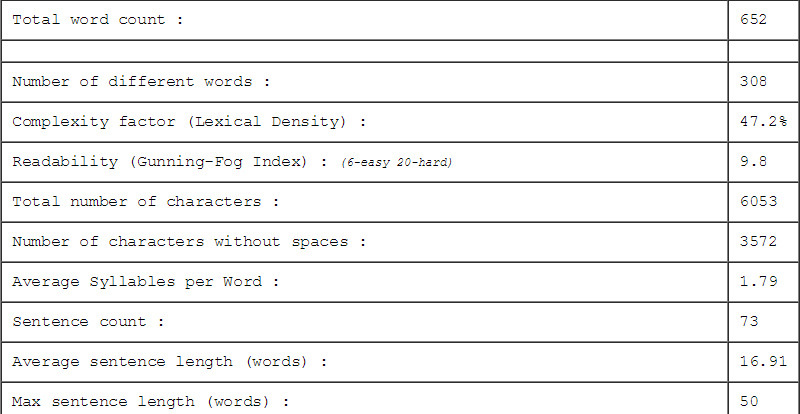 You can filter it by date, language, country, word count, content type. It finds most shareable content on FB, Linkedin, Twitter, Pinterest. 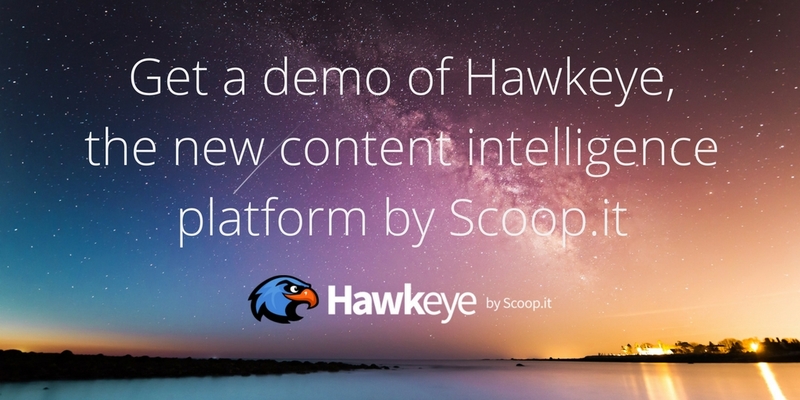 You could also find the most popular posts through Scoop.it Content Director‘s feature called “Research Content”. All that comes to your mind depending on the goal. 8 out of 10 articles have numbers right in the title (3 ways, 9 tips, 105 types, 39 tools). It means that people like structured articles with the practical use. They want to know exactly what is in this post. They like tips, lists, examples, templates, not just empty words without proof. Also, if this number is big, we can assume that readers just can’t memorize all the tips from the first try. The most obvious explanation — they share it on Facebook because they know they’ll get back to this post to reread it. 9 out of 10 are written by the blog owner who is established expert within the niche. It doesn’t mean that you should fair all your writers and start writing all your posts yourself. Let’s think again. Why do people share articles by experts? Because they know for sure that these articles are unique and useful. Of course, content by opinion leaders always will be more popular. But if you try to get closer to the quality they perform, your chances to be shared by the larger audience will grow rapidly. Majority of these texts are written in the casual style. Two of them include jokes and funny images. It’s obvious that person would rather share a useful and funny article than even more useful but boring one. 4 out of 10 are ultimate articles with a big number of useful links (like 88 marketers you should follow). All articles have some benefits for the reader. It happens that you read some interesting and great-written article and you know for sure you’re not going to get back to it sometime. That’s because these posts are interesting but useless. All articles from this list include some tips and hacks you can apply to your site, so you share it not to lose this information. Analyze yourself and improve your blog. I suggest choosing 3 direct competitors, take 10 articles from each and analyze it as deep as possible: length, number of headings and screenshots, number of words in the title, etc. Of course, it’s a huge work. But you can see how many interesting notes I’ve made after this small investigation. Imagine how many new ideas you’ll have if you go further. Spend one evening doing this work, and you’ll see it worth suffering. Anna Rud — a Content Marketer at Serpstat. Establishing an active presence on external resources, developing rich and quality content, and implementing brand strategy are her key responsibilities. 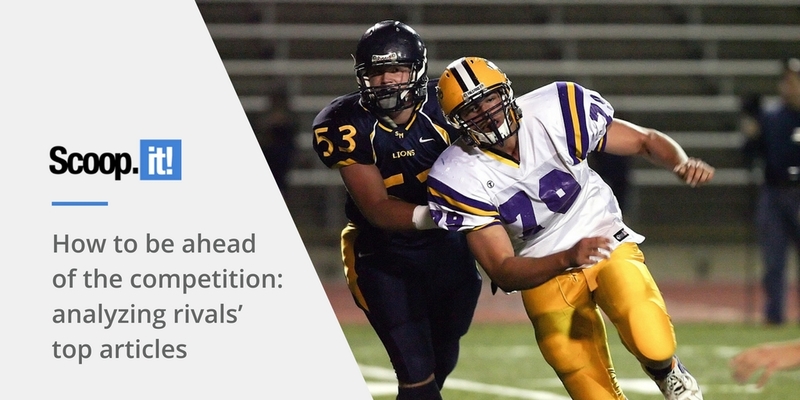 1 Comment on "How to be ahead of the competition: analyzing rivals’ top articles"
Competitive Analysis is the key for success. You have to understand and keep an eye on your competitor’s move to improve your site content. Moreover, understanding of competitor’s back link also helps for your own backlink strategies.